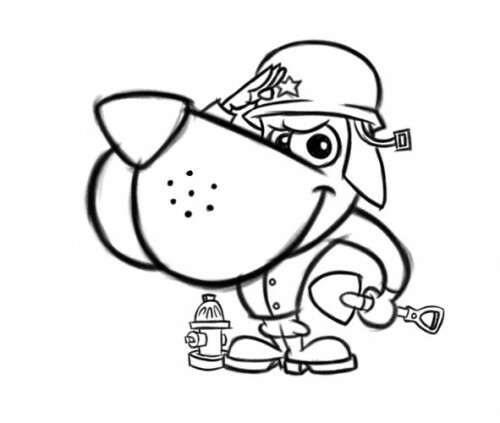 The client wanted a character to play on the company name “Private Piles” which is also a nod to Gomer Pyle. 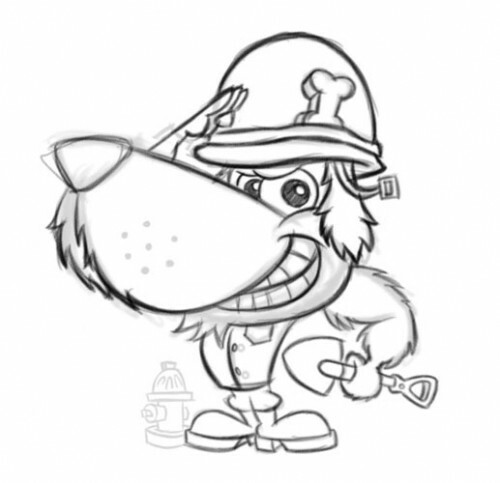 It took me a few sketches to get the right era of soldier the client was looking for (Vietnam-era). As you can see from my sketches below, I basicallt went through the history of United States soldiers to get to the proper look. This initial sketch (above) was the wrong era, and also wasn’t aggressive-looking enough. This pup (above) was closer but still needed tweaks. 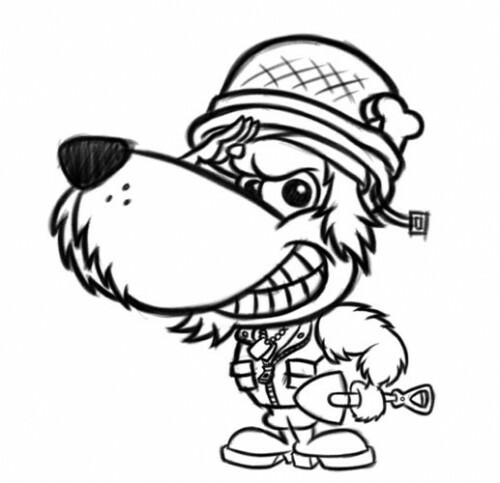 This canine (above) hit the mark and a final cleaned up sketch was created to move on to the final artwork in Adobe Illustrator. The client’s tagline “Reporting For Doody” is a nice touch. 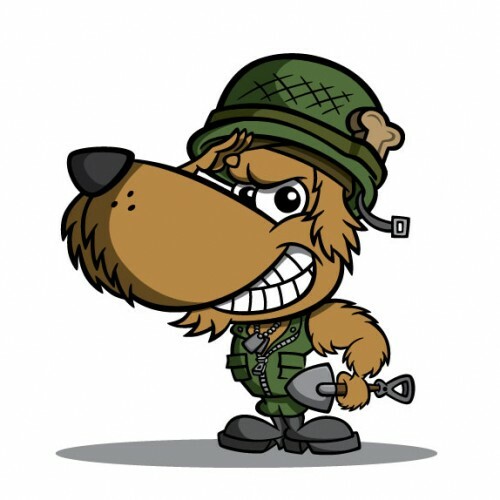 Check out the Private Piles soldier dog cartoon character on my portfolio. hahaha I like this one hahahaha. No really very well done!